CALL FOR ENTRIES: First ever Singapore Short Film Awards 2010! An entire week of short film screenings every night showcasing all Singaporean short films produced in 2009! An Honorary Award will also be presented to a Singapore filmmaker who has contributed significantly to the film community through his/her short films. If you have made a short film, no longer than 30 minutes, in the year 2009, we want to see it! It can be in the running for the Singapore Short Film Awards 2010! Download entry form and terms and conditions from the substation website here! Films made from 1 January 2009 onwards can qualify to enter. Submission fee of SGD10 applicable. 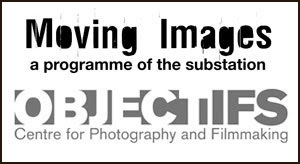 Cheques to be made payable to The Substation Ltd.
Fee will be waived for films screened at The Substation as part of Moving Images, Associate Artists and Fly By Night participants. Collective submissions done through schools will receive a 50% discount off the submission fee.